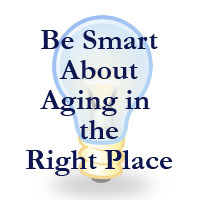 The Smart Senior Series is a free educational series for seniors and their families. Each class tackles a topic especially important to older adults and features a panel of experts from various fields. Panels are moderated by Ingrid and John Sullivan, specialists in senior moves and authors of The Ultimate Guide to Downsizing.